e some 16 of the city’s most beautiful plazas and historical landmarks. One could also call this the ‘Recoleta Park Tour’ The run begins at the edge of Plaza Holanda on Av. del Libertador and follows this road down passing Plaza Sicilia, Plaza Alemania, Plaza Mitre, Plaza Republica Oriental de Uruguay, and 12 other smaller plazas. Best section is north side of road. 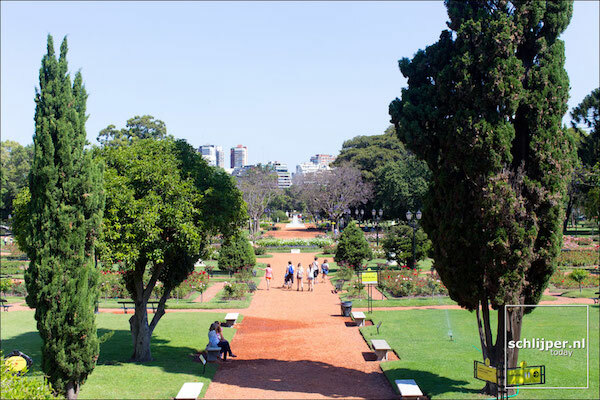 You’ll enjoy some of Buenos Aires’ highlights, including the Bosques de Palermo and Japanese Gardens in Plaza Sicilia, the Paseo de Rosedal and Lago de Rosedal, the Monumento de los Españoles on Av del Libertador, and the Museo National de Bellas Artes in Plaza Rubén Dario. 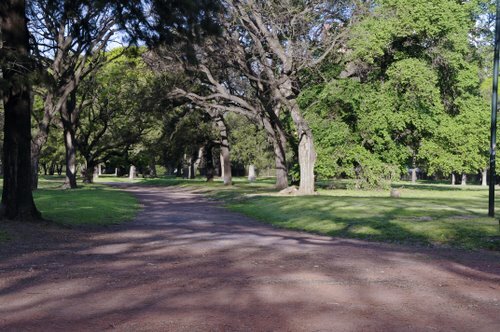 In addition to our suggested route, you add some mileage by exploring the paths within the plazas, or do a little more running in the Bosques de Palermo. There is a bus stop near the starting point of this route and many others along the way.